Summer is over which means your tan is starting to fade and before you know it you're back to pale with wrinkles, sun spots and all that other nasty stuff that happens when you age.Every year that goes by I notice more lines, more wrinkles, more crow's feet. And it all seems to be happening around my eyes. I've tried several different eye creams but none of them seem to do what they say. Eye creams are good for moisturizing under your eyes but that's about it. I love putting a good eye cream under my makeup for better coverage and it really does help set your foundation and concealer. The reason I was drawn to the VII Oxygen Eye Repair Mask ($55) is for a few reasons. This is an eye mask that you leave on the entire night long. Very intriguing. A box of the masks will run you $55 for 6 packets. If that sounds expensive it isn't because they do work extremely well. This eye mask is suitable for all skin types. We want your eye skin to be the best it can be from the inside out. 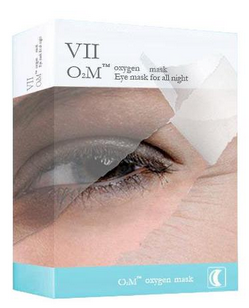 VII oxygen mask provide everything your eye skin needs to be healthy - all the essential fatty acids. Say goodbye to tired eyes, dark circles, and fine lines - now you can always look refreshed, bright - eyed and lively, soothing eye by VII oxygen mask. These pics of cool gel conform to the shape around the eye, infiltrating the entire area in soothing botanical extracts, as well as targeting specific issues. Benefits: To awaken the eye skin cell viability and fade dark circles,eliminate wrinkles and puffiness ect. 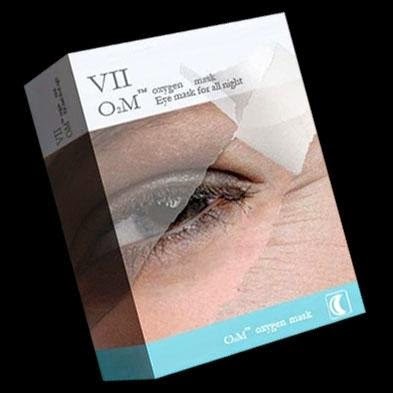 Details: VII O2M contains plant oxygen extracts(EOPE)to active cell oxygen capacity that is 24 hours repair the eye skin. The magical of plant oxygen extracts(EOPE) which stimulate the mitochondrial DNA of the core elements-cell memory(cimc),the release of precipitation memory gene in the state, to active cell memories ,to support energy, and repair fiber cells to improve vitality and elasticity,smooth the fine lines and wrinkles. Usage: Sleeping eye mask of improved version for EIGHT HOURS overnight, three times a week.The treatment are three boxes for one course, which can effectively keep the eye skin gloss, fade dark circles, firm the skin, eliminate wrinkles and puffiness. Tips for how to use the eye mask: After facial cleaning, without any other steps, put the eye mask to your skin under eyes, that just starts it at the beginning of the corner of your eyes. You can use it after several minutes from the refrigerator, that will helps you feel more cooler. Before you go to bed, take a eye cover in case the eye mask will fall down. The VII 02 Oxygen Eye Repair Masks are available for $55 (for 6 pairs) on their website. I love how I've noticed less darkness around my eyes and I look more awake and refreshed. each morning.